As my regular readers will know I have a strong admiration for the slightly obscure mixed with femininity as well as a fixation for a statement shoe. 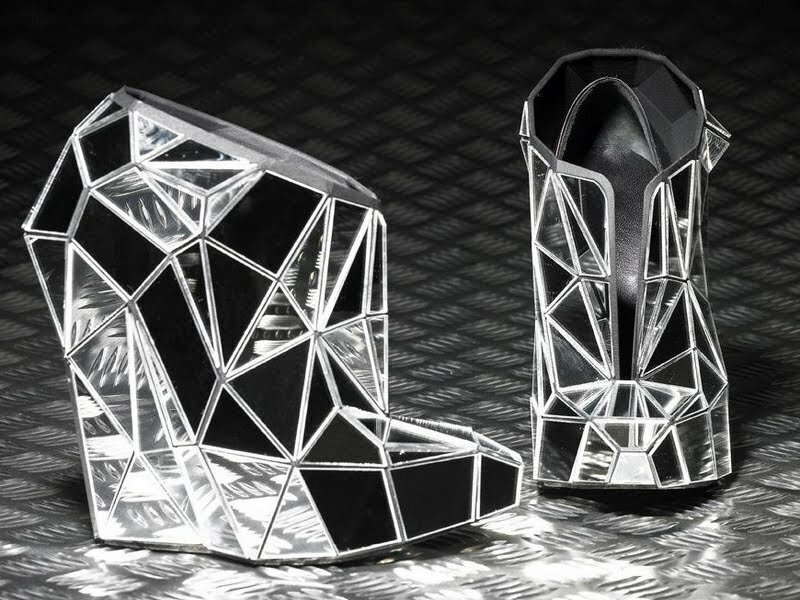 With this in mind my love for the 'Invisable Shoe' by the genius that is Brazilian designer, Andreia Chaves is un-matched. The mirrored pair are a dream and although I am sure I would be the happiest hipster in town should I ever get to walk in these they really deserve to be displayed in a gallery as an artwork in themselves. Haha, I know what you mean, I think morals and social decency would go out of the window if I had the chance to get near these!